Here you will find holiday themed and limited edition products. Please note that there are a limited number of each. If you see a must-have, don't hesitate, as they may not become available again for some time. The products on this page will be ever changing, with new ones added as they become created & available. Handcrafted, Wood, Love Votive Holder. Perfect gift for Valentine's Day! *Votive not included. 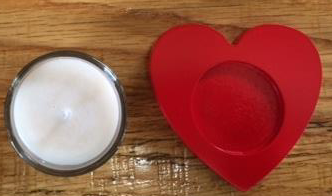 Handcrafted, Wood, Heart Votive Holder. Another perfect gift for Valentine's Day! *Votive not included. Handcrafted, Wood, Hope Votive Holder. Great gift for anyone needing this message! *Votive not included. 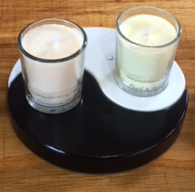 Handcrafted, Wood, Ying Yang (black & white) Votive Holder. *Votives not included. 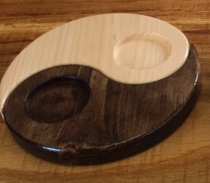 Handcrafted, Wood, Ying Yang (natural) Votive Holder.